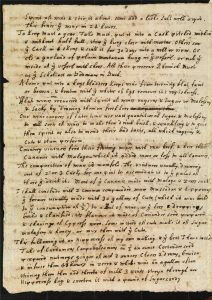 Transcript of part of this document: "Flat wines recovered with Spirit of wine, Raisins, and Sugar or Molossus, and Sacks by drawing them on fresh Lees. Our Wine-Coopers of later times, use vast quantitys of Sugar and Molossus, to all Sorts of wines, to make them drink brisk and Sparkling, and to give them Spirit, as also to mend their bad tastes, all which Raisins, and Cute and Stumme performe." Some enthusiasts of English sparkling wine, including producers, have tirelessly sought to demonstrate that making wine in the UK is nothing new. You may have noticed that shops on the High Street invariably like to have a sign writer emblazon the date of their founding, as if the length of trading gives them an edge over a newcomer down the road. Of course, history is important, it demonstrates an evolution and can be interesting. To survive, however, requires more than experience but an ability to adapt to changing circumstances. To prosper requires hard work, imagination and prescience - the gifts of a handful of individuals who have almost single-handedly changed the face of winemaking in England. Must we learn where the Roman vineyards were planted? So what if the Doomsday Survey of 1086 listed 46 vineyards (Nyetimber among them); there were vineyards at Canterbury as early as 1130 and winemaking existed during the 14th century? There's even a manuscript dated 1338-1344 in the Bodleian Library which depicts English vintners at work. When Henry VIII succeeded to the thrown in 1509, a survey showed there were 139 sizeable vineyards in England and Wales and whilst viticulture and winemaking still carried on into the middle 17th century it was on a diminished scale. Note 1English Vineyard Vindicated, John Rose and John Evelyn. Appendix by Robert H Jeffers. Need more? Well, to reflect the state of 'winemaking' in the 1700s there are extensive 'recipes' for making wine from any number of fruit: white gooseberry ("Champaigne wine"), red currant, dutch currant, strawberry, elderberry, bilberry, damson, peach, cherry, apricot, quince, parsnip, apple, cowslip, walnut, sycamore, and sage. There are only two for grape wine and both these are adulterated by other ingredients including beet-root, brandy or even rum. Usefully, it adds two others: "to pass white wine off for Champagne" and "to make wine sparkle like Champagne". Note 2English 18th century Brewing and Winemakjing 1975. Robert Tyndall Ltd Who said that English wine was a nascent industry (as if mattered that it might be)? The reality is that the making of quality wine in England is part of recent modern history. On the other hand, the joke about how many people its takes to drink a glass of English wine? Four: two to hold down the victim and one to force it down his throat is now, thank goodness, largely of historical relevance. Note 3Lord Bute has ambitions for his vineyard Castell Coch in Glamorgan, Wales. Punch magazine ran a jeering article about this Those who are commercially minded can cope with a financial model which F X Vispre outlined in 1786 "that proprietors of vineyards may bear a failure of the crop one year in six or seven" Note 4A Dissertation on the Growth of Wine in England, by F X Vispre. Bath printed by R Cruttwell, for the author. MDCCLXXXVI . "In the cold and rainy year 1782, I visited the vineyard at Pains-Hill; the grapes at the end of October were only changing colour; they did not ripen that year. According to the newspaper, the grapes of Portugal, at the beginning of November, were no riper than those of Pains-Hill." 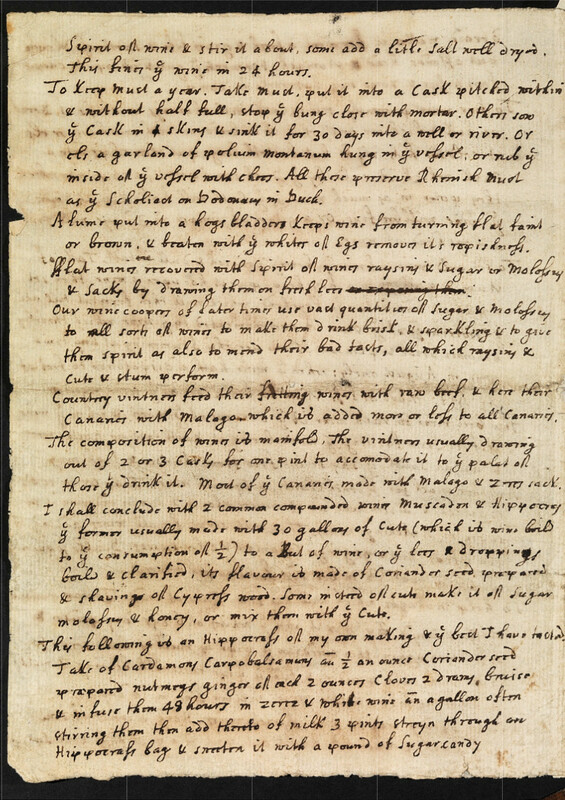 Note 5A Dissertation on the Growth of Wine in England, by F X Vispre. Bath printed by R Cruttwell, for the author. MDCCLXXXVI . Perhaps a pivotal moment for English winemaking, when people started to take it really seriously, came in 1946 when Ray B Brock started experimenting with wine cultivars at his house in Oxted, Surrey. The fact that Brock wasn't looking at sparkling wine varieties doesn't diminish his work but doesn't make it hugely relevant either. Much of this early work was based on a false premise - that England's climate made it more suitable for German grape varieties than those of its closest neighbour France and one of the greatest wine producing regions of the world (Champagne) - hardly 200km down the road. To prove just how suitable England was for these German varieties, Brock set up the Oxted Viticulture Stations, publishing his findings in 1949 - Outdoor grapes in Cold Climates. Many vineyards planted today were established using the findings from his work. It wasn't until just after the Second World War that Sir Guy Salisbury-Jones released the first commercial wine in modern times, decades before the new 'sparkling' era. 4, 5. ↑ A Dissertation on the Growth of Wine in England, by F X Vispre. Bath printed by R Cruttwell, for the author. MDCCLXXXVI .